If you’re owned by a fabulous feline, you’ll already know that cats are curious by nature, so WHISKAS® ‘ brand new campaign perfectly celebrates what we love most about them. Three new ads, as part of their ‘Feed Their Curiosity’ campaign, showcase the enchanting way our cats approach the world and highlight WHISKAS®’ role in feeding this curiosity. Katie Griffiths, WHISKAS® UK Brand Director, said: “At the WHISKAS® brand, we understand that cats see the world in a wonderfully unique way. We have launched this campaign to celebrate and bring to life the character trait that makes cats truly distinctive – their curiosity. 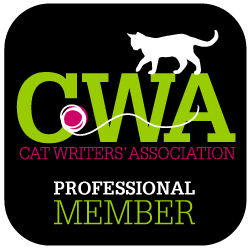 We want to use this to connect with our audience in new ways, bringing to life our expertise and strengthening the understanding and bond owners have with their cats”. Not only is the star of the show utterly gorgeous (you’ll see what I mean in the videos below! ), we get to hear exactly what our cats might be thinking as they discover the magic in everyday items. Until, of course, they’re distracted by the sound of food (what else?). Take a look at the adverts, and keep reading to find out about a great competition from WHISKAS®. If you’ve got a curious cat (or cats), you can share a video on the WHISKAS® Facebook page here, and you might just win some Creamy Soups! Be quick though, because the competition ends on 31st October 2016.